Tons of learning activities revolving around a turkey. Great ideas to incorporate around Thanksgiving. 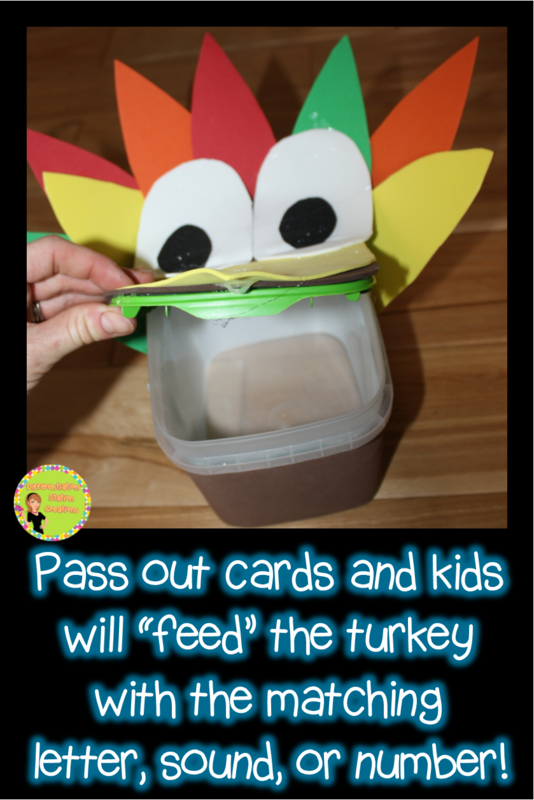 DIY turkey container (he really eats! 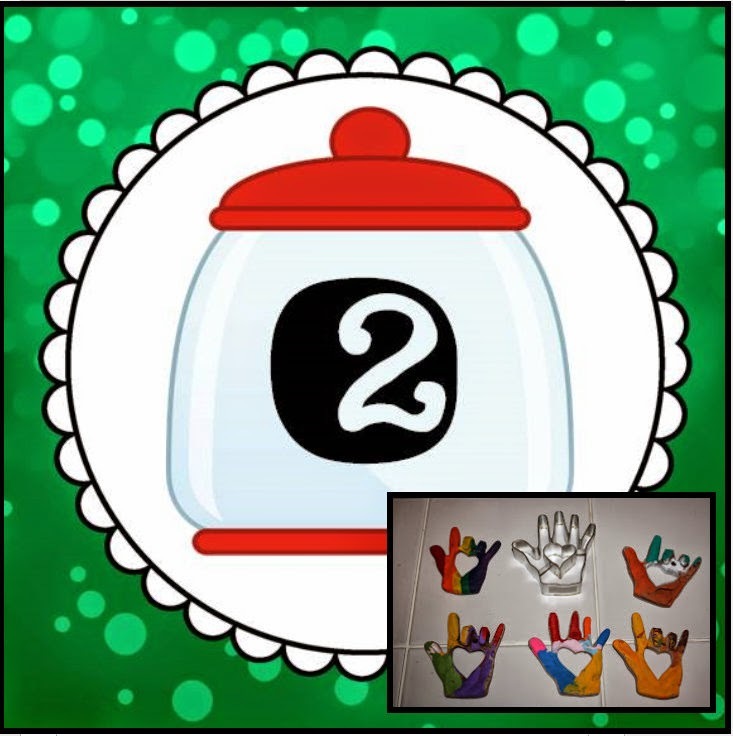 ), rhyming activities, letter identification, initial and ending sound fun, and more! 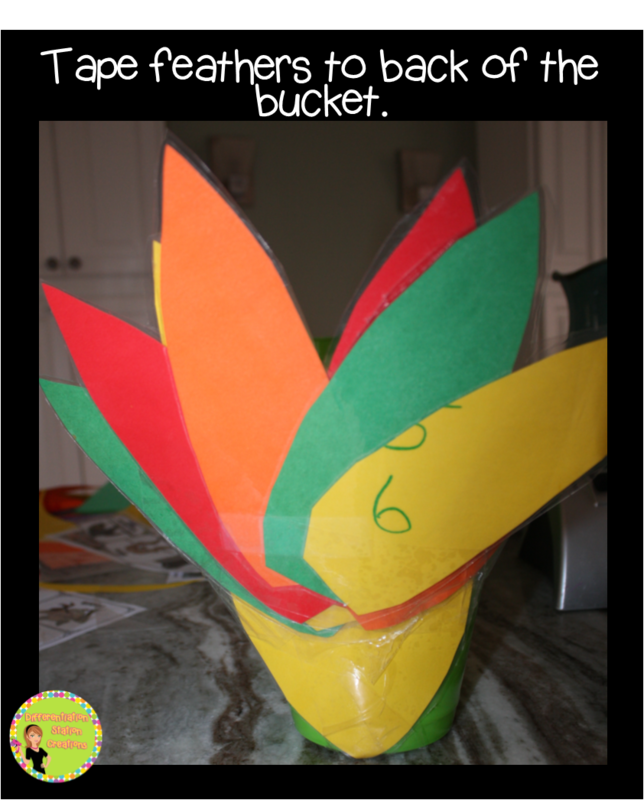 You can see the directions to make a turkey out of a Cascade container here. 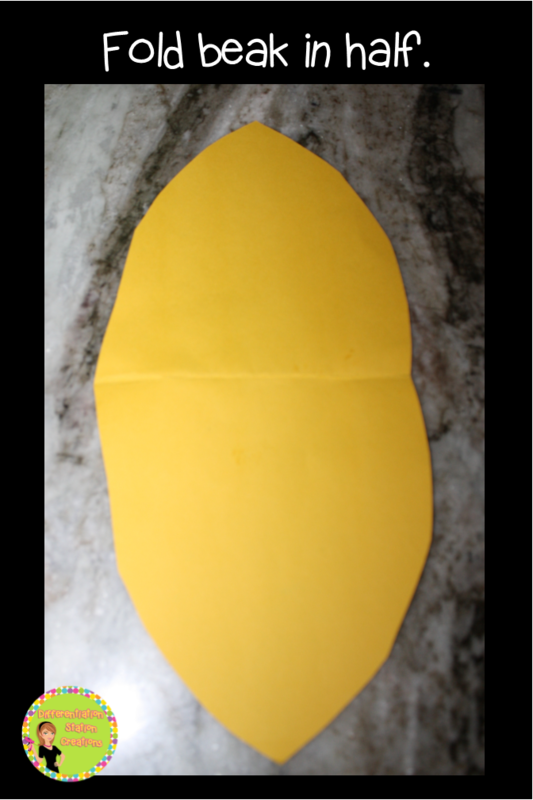 Get the directions to make the Print & Cut turkey here. Pass out cards to help kids practice basic skills: letter identification, beginning & ending sounds, rhymes, numeral identification, counting, addition, subtraction, or any skill you choose. We used cards from my Turkey Time: Literacy Pack. You can pass out cards to the whole group, or use the turkey in a center. Kids will feed the turkey! Use the “Turkey Time” rhyme to spark excitement with the kids. Change the key words in the rhyme to help students’ focus on the specific skills. Get your free copy of the turkey rhyme here. 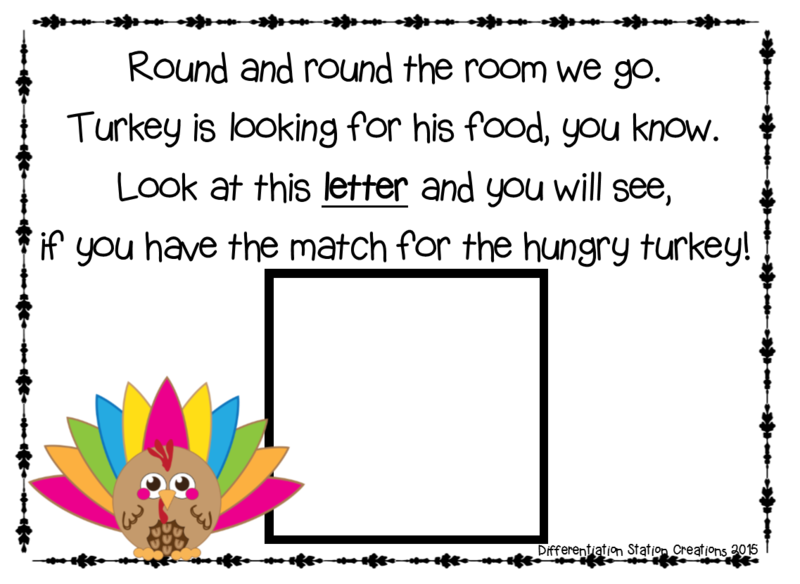 Step 1: Cut out the shapes for the turkey. 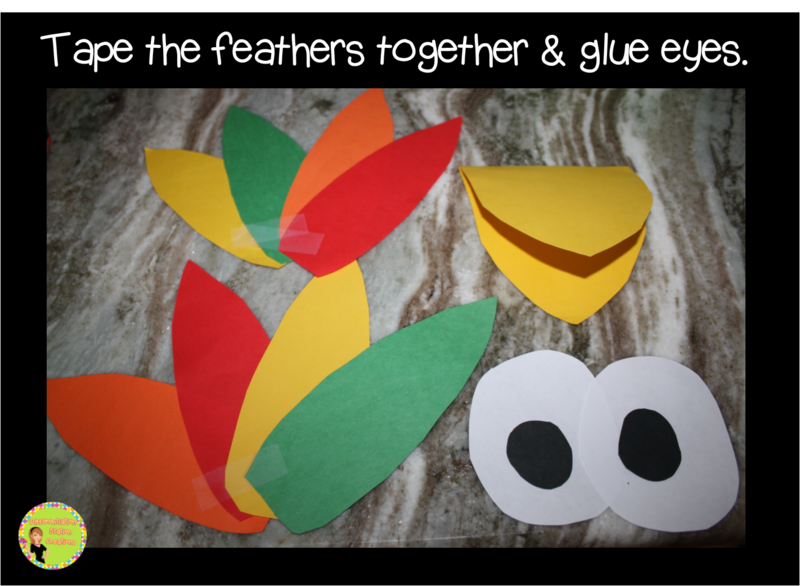 Use foam or card stock for the turkey shapes. I use foam for a more durable turkey. Step 2: Fold the beak in half. Step 3: Tape the feathers together and glue the black pupils into the middle of the eyes. 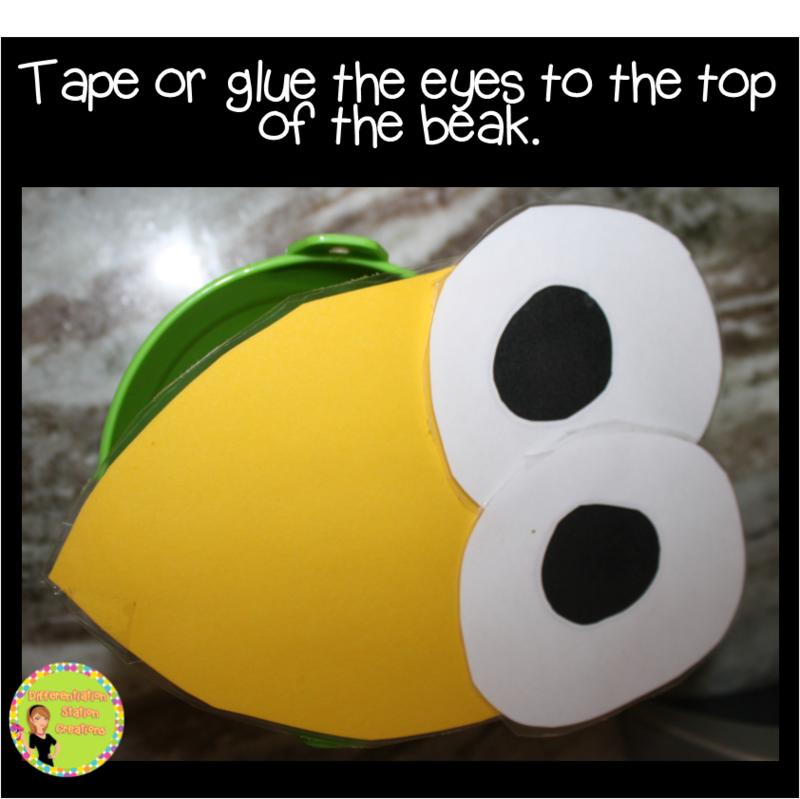 Step 4: Tape a magnet or rock to the tip of the beak. This is just to give the beak some weight. It will help keep the turkey’s mouth closed. Step 5: Tape the beak to the back of the bucket. Step 6: Tape or glue the eyes to the top of the beak. 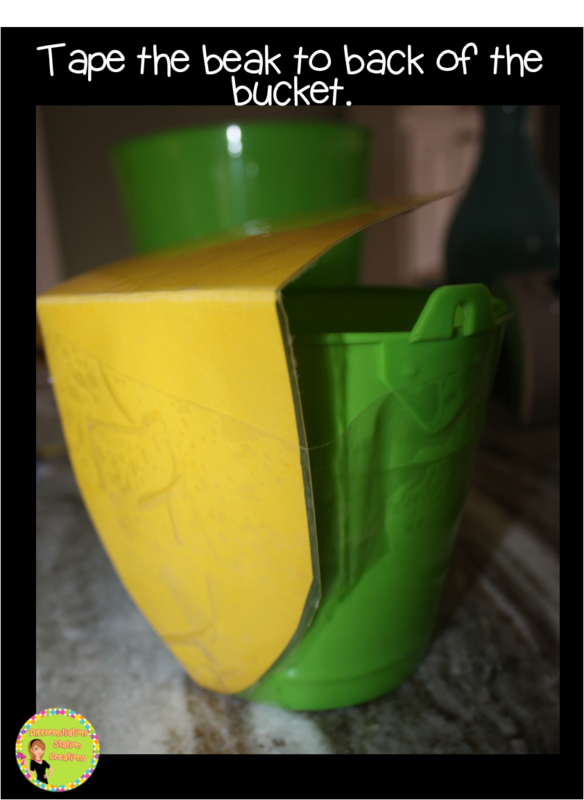 Step 7: Tape the feathers to the back of the bucket. 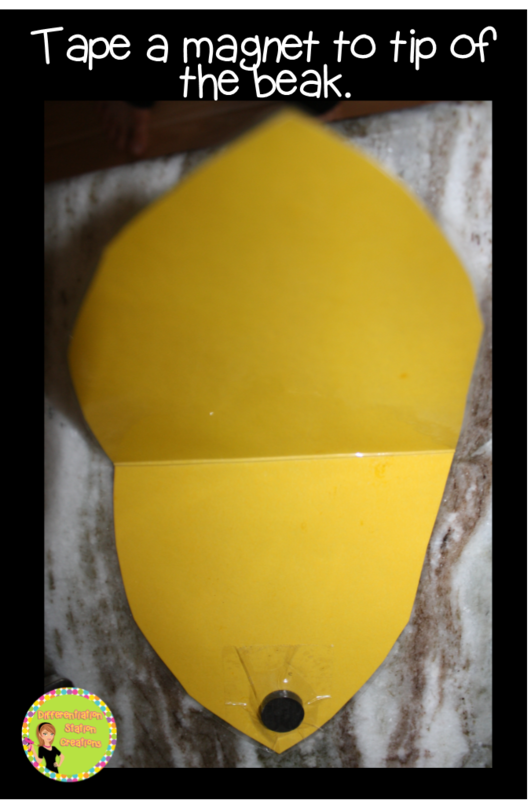 Step 8: Hot glue felt around the base of the bucket. Step 9: Your turkey is ready for learning fun! Thanks for stopping by! 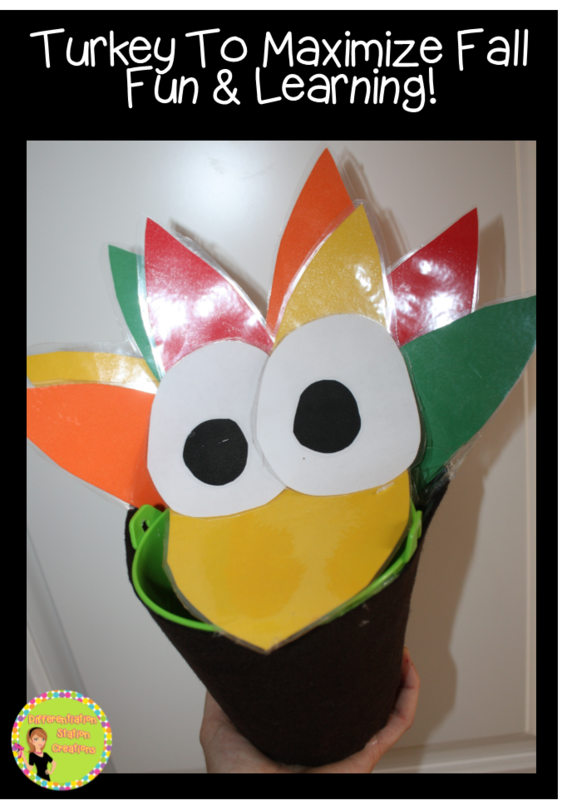 Don’t forget to head over to The Primary Pack to see more ideas on how to use the turkey! 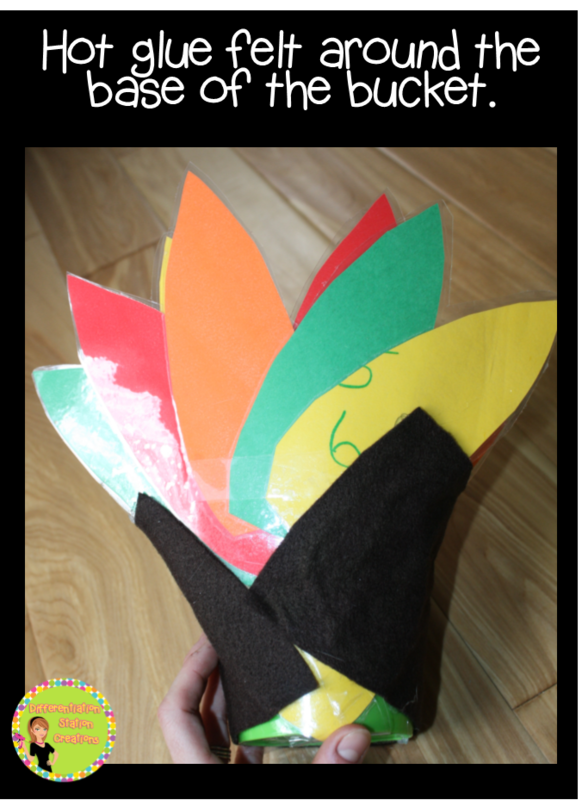 Head over to my TPT store to get my “Turkey Time” pack. 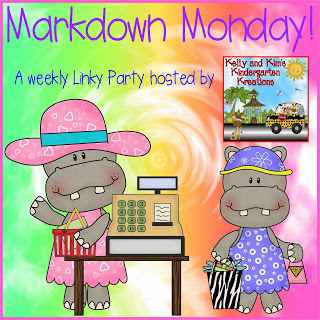 It will be 50% off for the rest of this week for Kelly and Kim’s Markdown Monday. Check out their blog for this week’s deals! The holiday season is a great time to reflect on all of the wonderful things you have in your life. Many of us are so fortunate to have a roof over our heads and food on our tables. I feel so blessed to be able to have these things for my family. I got together with a bunch of other bloggers to bring a huge giveaway with a ton of our favorite things. Before I get to the amazing giveaway, I wanted to share some things that I am so thankful for this season! Some are silly and some are more serious, but I am thankful for all of them!! 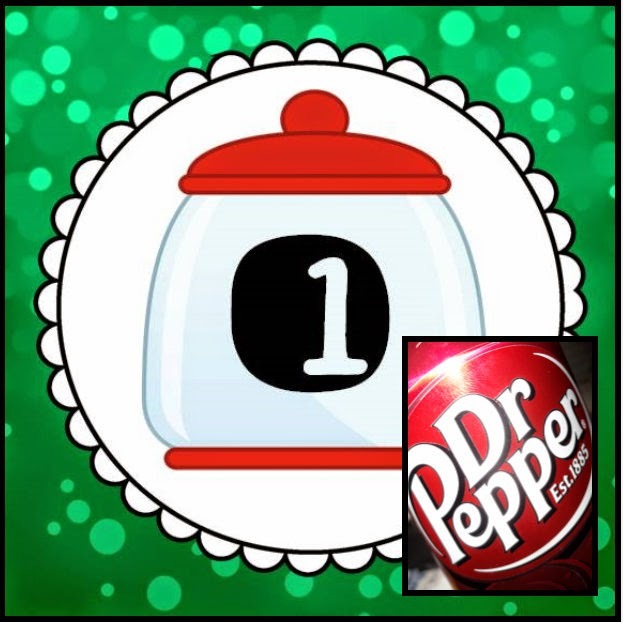 #1- Dr. Pepper. I am not a coffee drinker, but seriously need some caffeine in the morning. My brain will NOT function until I have that first sip of bubbly, sweet, and almost painful burn of the carbonation. It wakes me up in so many ways. I love it! #2- Every holiday season since my kids were born, we create ornaments together. When they were little, they would get down to their diapers and get covered in tons of paint. We’ve done cinnamon dough, ceramic ornaments, and foam ornaments. It doesn’t matter what type, we just love to create together. We put on Christmas tunes and sing along, as we get messy and laugh. It is a priceless experience that I treasure. You can see the fun salt dough ornaments that we made here. #3- I do love shopping, especially for teaching gems. 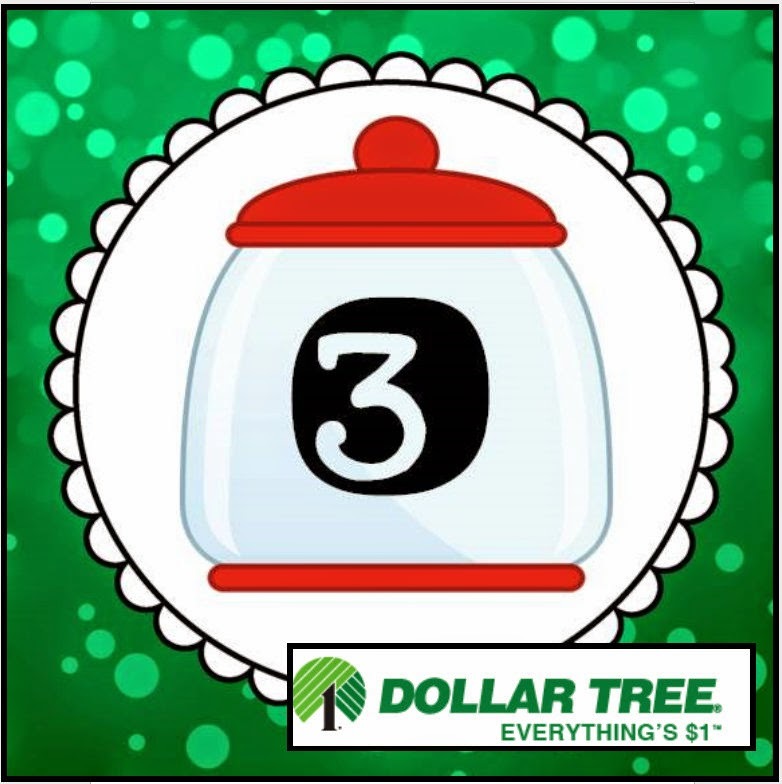 One of my favorite teaching idea stores is The Dollar Tree. You cannot beat this store for wacky and wonderful teaching supplies AND the price is right!! Here are a few of the amazing finds that I’ve found at the Dollar Tree: lip gloss boots (you need to check these out), fun tongs for centers, foam to create my own two sided magnets that created my subitizing freebie! This is just a tiny fraction of the amazing deals that I find there. 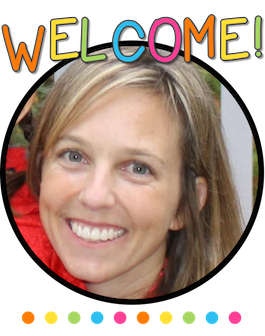 #4- One of my most treasured teaching supplies is my personal laminator. Since I started teaching, I have tried out MANY different laminators. I have gotten really expensive types, and cheaper ones. About 8 years ago, I decided on my favorite laminator. It is a cheap, but wonderful power house. I put my laminator through a lot of work and it is up to the job. 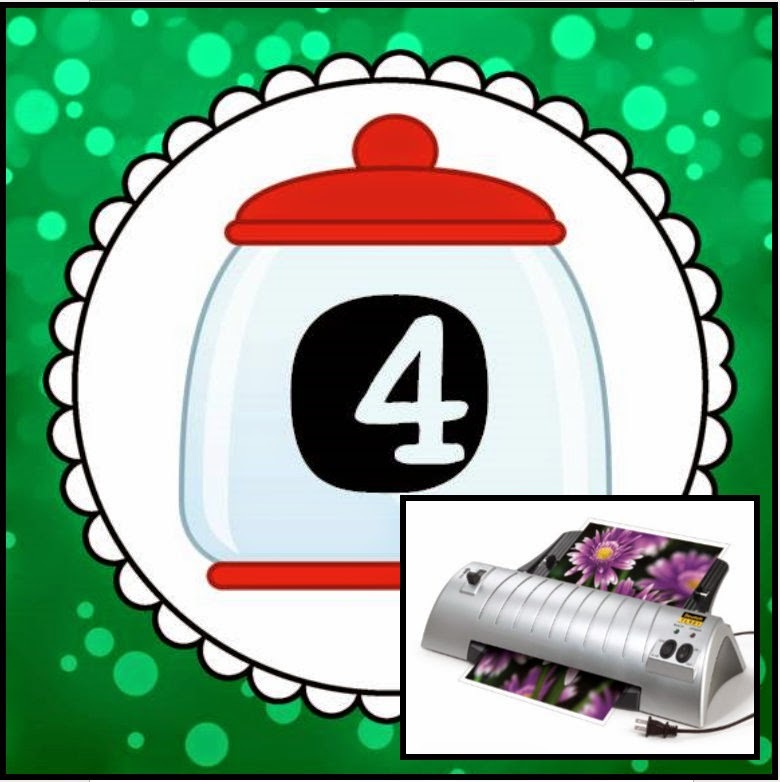 I chose to giveaway a Scotch Laminator for “A Few of Our Favorite Things Giveaway”. You can see the laminator that I will be giving away here. 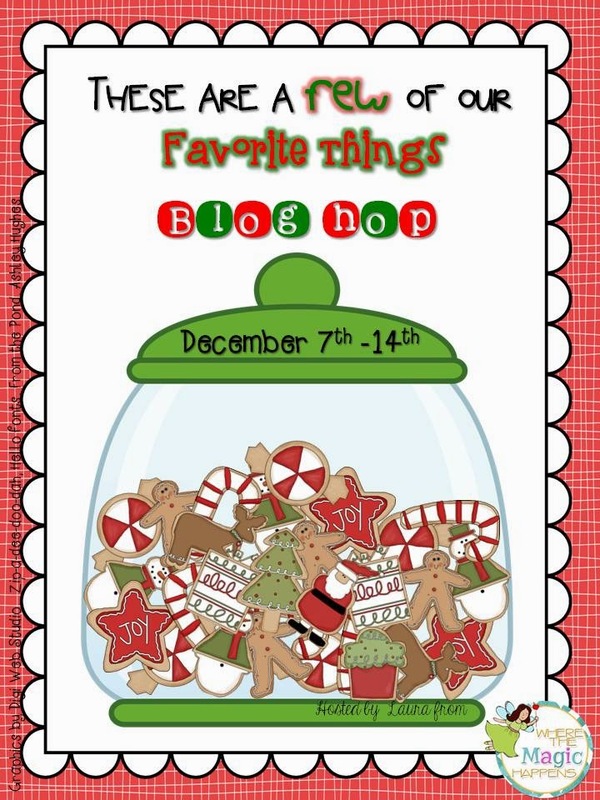 I also have some of my favorite products on sale for the week of this blog hop. They will all be 50% off! Search my store for #myfavoritethings2014 to get all of the amazing deals. I can’t wait to share these exciting surprises!! Romp and Stompin’ Letters usually $12 for ONLY $6!! Super Hero: “Roll, Say, Keep!” Pre-Primer Dolch Sight Word Center + Extra usually $3 for ONLY $1.50!! 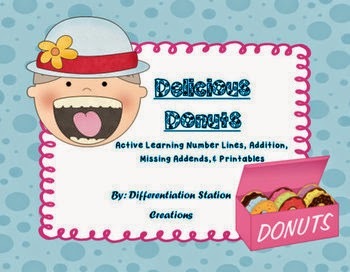 Delicious Donuts: Addition to 20, Number Lines, Missing Addends, & Printables usually $7 for ONLY $3.50!! My ABSOLUTE favorite!! Bundle of 8 Interactive Play Dough Mat Sets!! Full Price $32, get it for $16! !